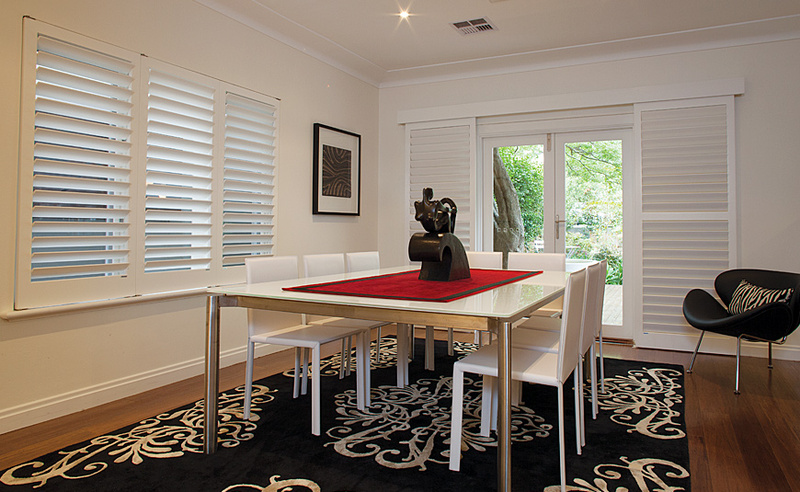 Modern and sophisticated, custom made shutters are guaranteed to make a statement on your windows and doors. 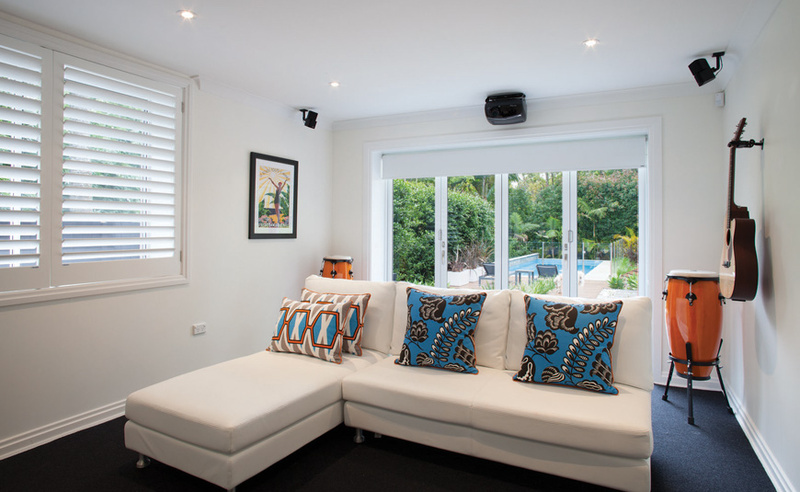 They are clean, functional and adjustable and can be designed as hinged, sliding or bifold, or as room dividers. 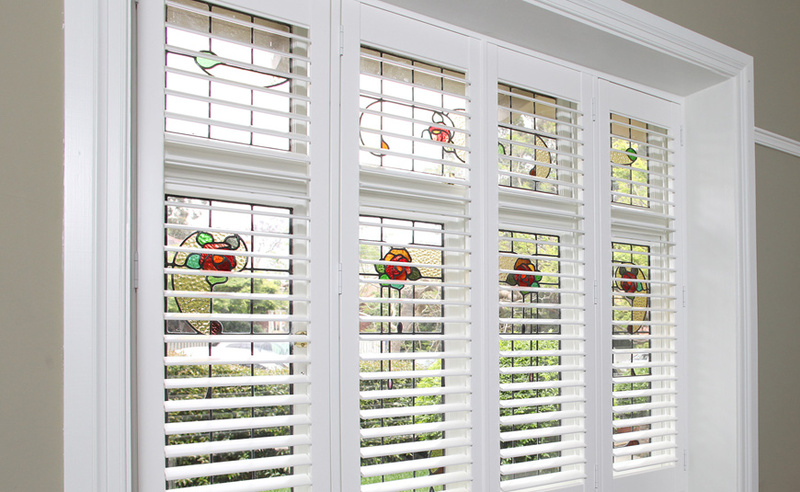 Shutters are a highly versatile option that can be made to suit a wide range of different sized and shaped windows, including arched, triangular and oval. 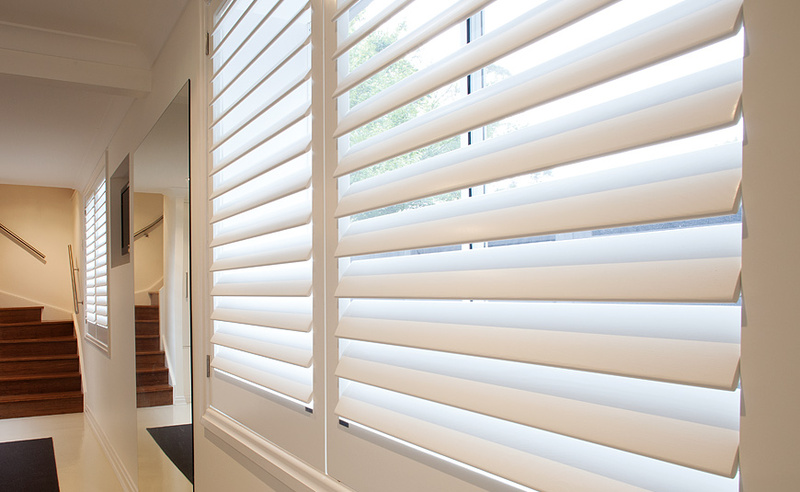 Blade widths of 64mm, 89mm or 114mm provide flexibility of choice to best suit the opening size, individual taste and address privacy concerns. 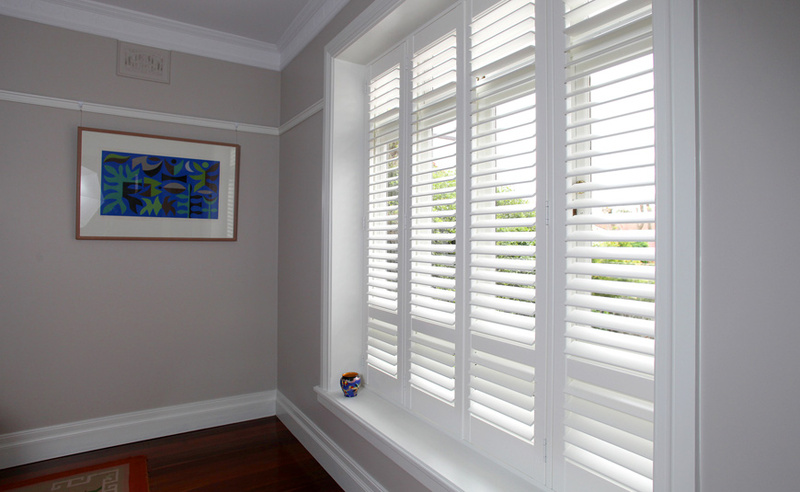 Shutters can be manufactured from finger-jointed poplar or basswood with 100% sustainably resourced timbers. They can be stained, lacquered, limed or painted to suit any décor. 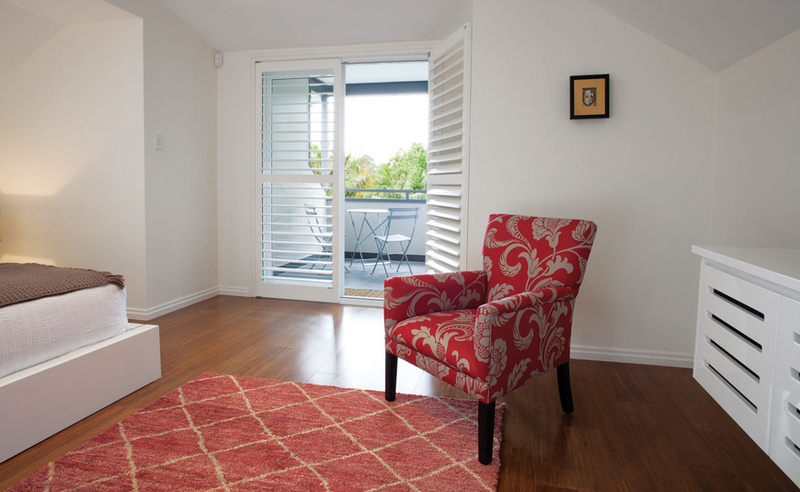 Alternatively, shutters can be manufactured from western red cedar that is a lightweight naturally durable timber with extremely high dimensional stability. It has excellent thermal insulation and acoustic benefits. Our interior decorators will advise on the options available and the most suitable application for your requirements.